From the author of the New York Times bestselling Jedi Academy books comes an imaginative picture book about a kid whose creative outlook has everyone at school seeing the world through new eyes. Perfect for fans of The Adventures of Beekle and The Most Magnificent Thing. 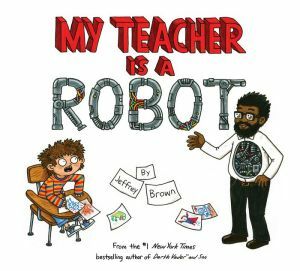 An inventively funny picture book that celebrates the boundlessness of a child's imagination and celebrates the teachers, families, and friends who get wrapped up in their fantastic worlds.